Bagels and Babies, Sun., Sep. 23rd, 10:30 – 12 for Children ages 0 – 3 Years. FREE. Open to All. Click here to RSVP by Sep. 20th. TBEMC Religious School Open House and Ice Cream Social, Wed., Aug. 15th, 6 PM – 7:30 PM. Presentation at 6:45 PM. 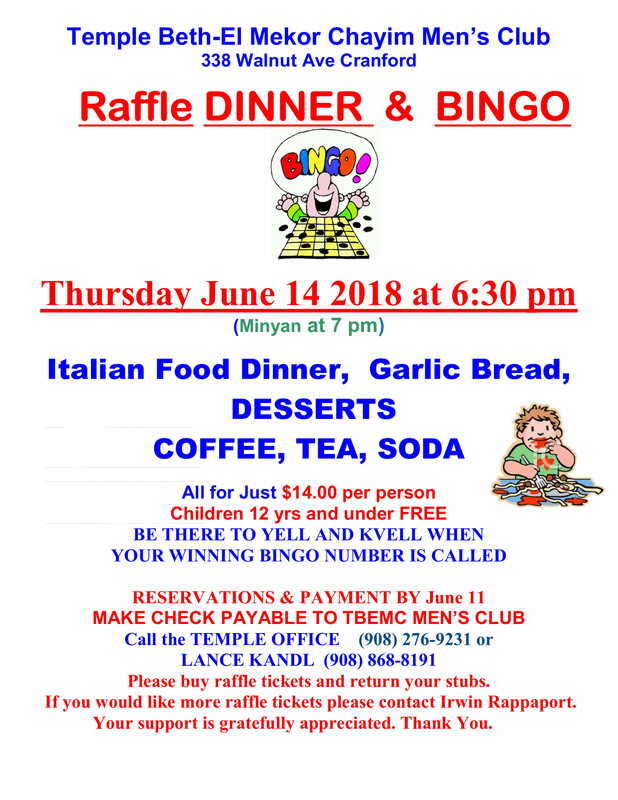 Men’s Club Raffle, Dinner and Bingo, Thu., Jun. 14th at 6:30 P.M. (Minyan at 7 P.M.), $14pp, Children 12 and Under FREE. Bagels and Babies, Sun., May 6th, 10:30 – Noon for Families with Children ages 0 – 3 Years. FREE. Open to All. 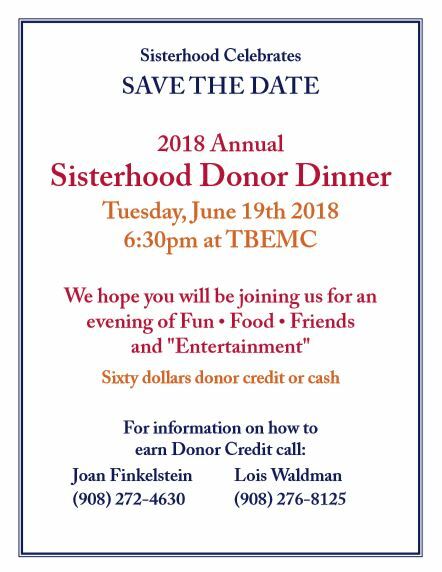 Click here to RSVP by May 2nd. Susie Fishbein Cooking Demonstration, Thu., May 10th at 6:30 P.M. Seating is LIMITED. RSVP by Apr. 30th.